In honor of the 100th anniversary of the IIHF, 15 out of the 16 teams participating in the World Championships in Canada wore vintage sweaters from a year that had special importance to the hockey federation in that country. Poor Belarus is the only country not partaking due to the fact that the federation was not formed until 1991. 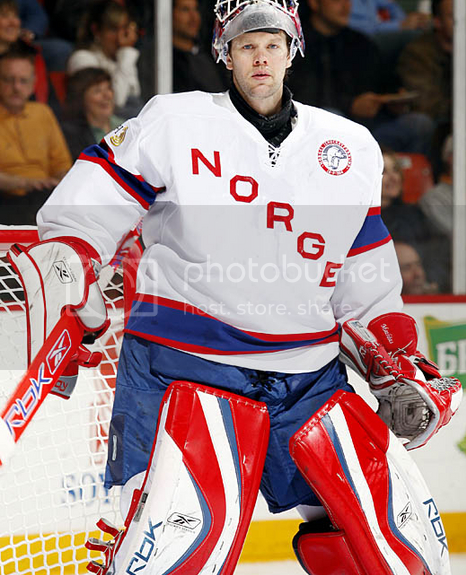 But I think they should wear the 2002 sweaters when Tommy Salo ruined his good Swedish name. But I think the template is the same. Any who, on to the sweaters…. In honor of the 1976 team that took on and defeated the world Team Canada wore the split-leaf sweater. 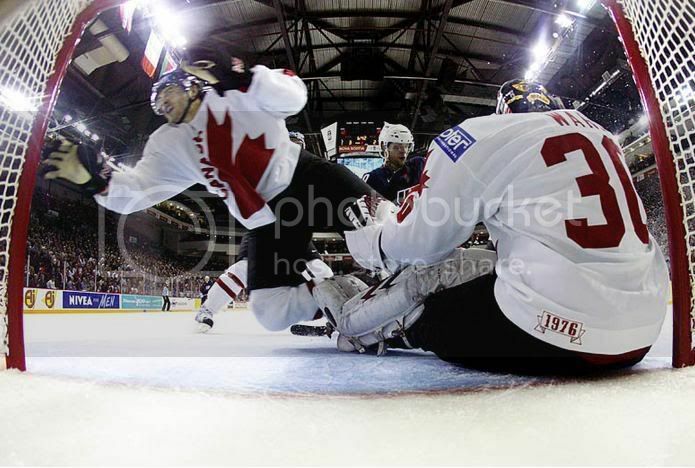 Always a classic look for the Canadians and they used the super powers of the sweaters to beat the US. 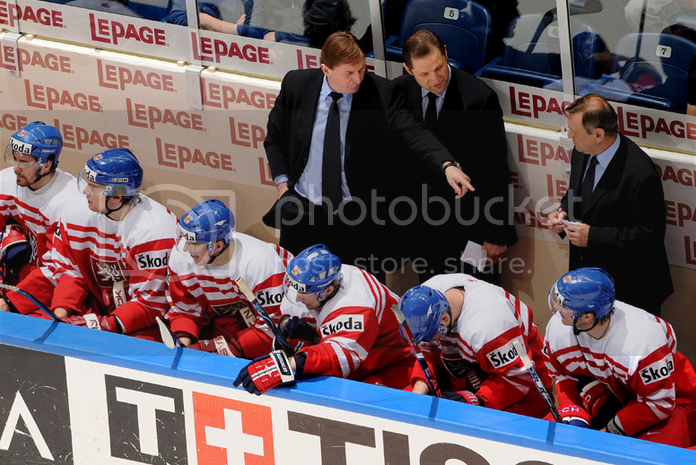 The Czechs wore this little number this past week. I like the stripes under the yolk and the simple crest is very iconic. But at the time the country was Czechoslovakia, so what about the Slovaks on that team? But as we will see, they had two programs at the time. No special occasion linked with this sweater really. 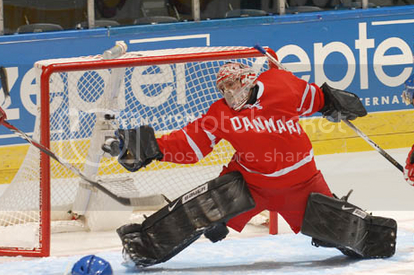 The sweater is just showing the return of the Danes to respectability on the World Championship stage. I do like the diagonal myself. These babies are to commemorate the first year that Finland hosted the World Championships. The Blue and the Lion have remained on the sweaters of the current Fins, but the red had been lost. The sweaters are replicas of the ones wore in 1968 by the French at the Olympics hosted in Gernoble. The French have a thing about roosters, which even is evident in the football (soccer) association. Plus the template looks like it is a rip of of the Rangers (look at the shoulder piping). Before WWII and the subsequent partitioning of Germany after the war, they wore these sweaters at Lake Placid. I like the two color contrast and the stripes are amazing. Replicas of the Italian sweaters wore during their first participation in the World Championships in Prague. 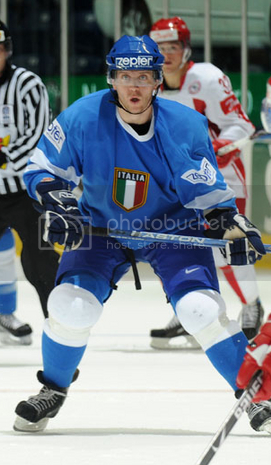 Many people do not realize how far back ice hockey stretches back into Italian sports history. These sweet V-neck sweaters were worn by the Latvian national team when the nation was independent between both world wars. Why they are blue, I have no idea. Totted as the “New York Ranger look”, this sweater is simple and clean. But as many of you know by reading my first post, the Rangers are by far not the first and only team to use the diagonal lettering, but again reinforcing the fact that when people see diagonal lettering on a hockey sweater, they think Rangers. Paying homage to the first Soviet team to win Olympic gold in Italy, the Russians chose to ware a replica of that sweater. “Russia” in Russian was replaced by “CCCP” in game action. This comes from the time when the Slovaks had a completely different program than the Czechs in the 40s. These are my favorites. I’m a sucker for stripes around the upper torso and through the numbers. In 1966 Yugoslavia held the World Championships in Ljubljana, the capital of Slovenia. 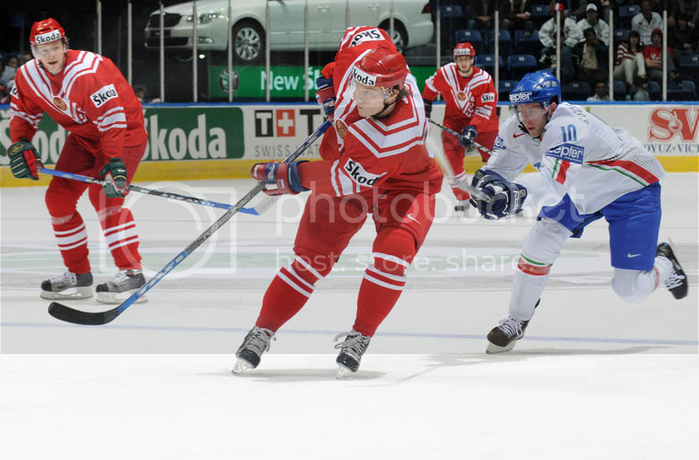 During this time period, Slovenians dominated the program and made up most of the team. I would imagine, however, that the word mark on the left shoulder was not on the original sweater. Not much has changed in Sweden sweaterwise in 50 years. The three crowns will always be there, even when Nike comes to town. 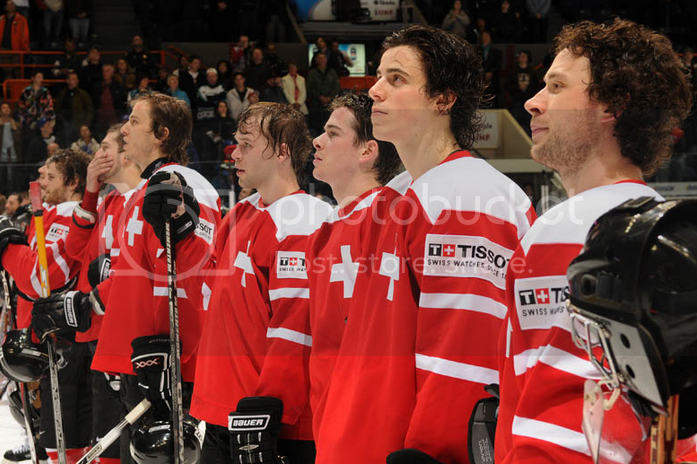 Believe it or not, the Swiss use to be one of the best hockey nations. Again, the simplicity of these sweaters makes them one of my favorites. The sweaters come from the 1960 Olympics when the US won their first Olympic gold at Squaw Valley. If you didn’t notice in some of the photos, each team’s vintage sweater has a little emblem on the back with the year they are modeled after. One of the problems that I have with the sweaters, well not so much the sweaters themselves, but IIHF in general, are the ads. It’s bad enough there is one at center ice and a car in the stands. 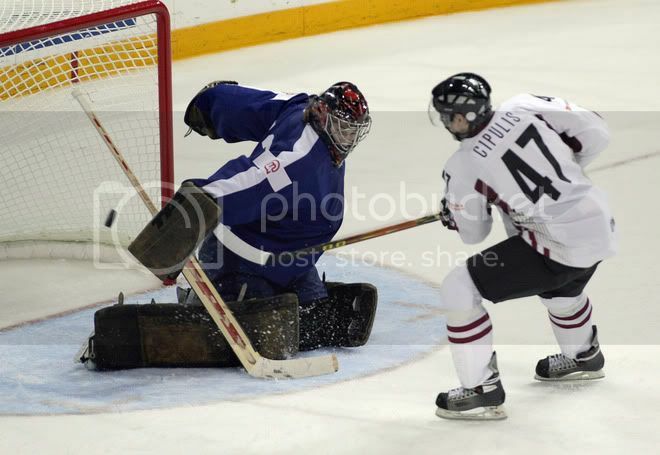 But why not for one game just go with out them on the sweaters? Would it kill the IIHF? I received a suggestion about a possible project/subject to look into and to research for some content on the blog. One of the first comments on the blog concerned sweaters with diagonal lettering. Upon some initial research I found many instances of sweaters with diagonal letter on the front instead of a logo or crest. There are so many instances, in fact, that one could probably devote a whole blog to the type of jersey. To make it easier, on myself mostly, I have broken down the pictures and teams I found into different categories, mostly by league and/or level. I will start with the NHL and have installments every so often about other leagues. First I had to decide, on my own terms, what to consider diagonal lettering on a hockey sweater. As you will read, there can be some gray area. 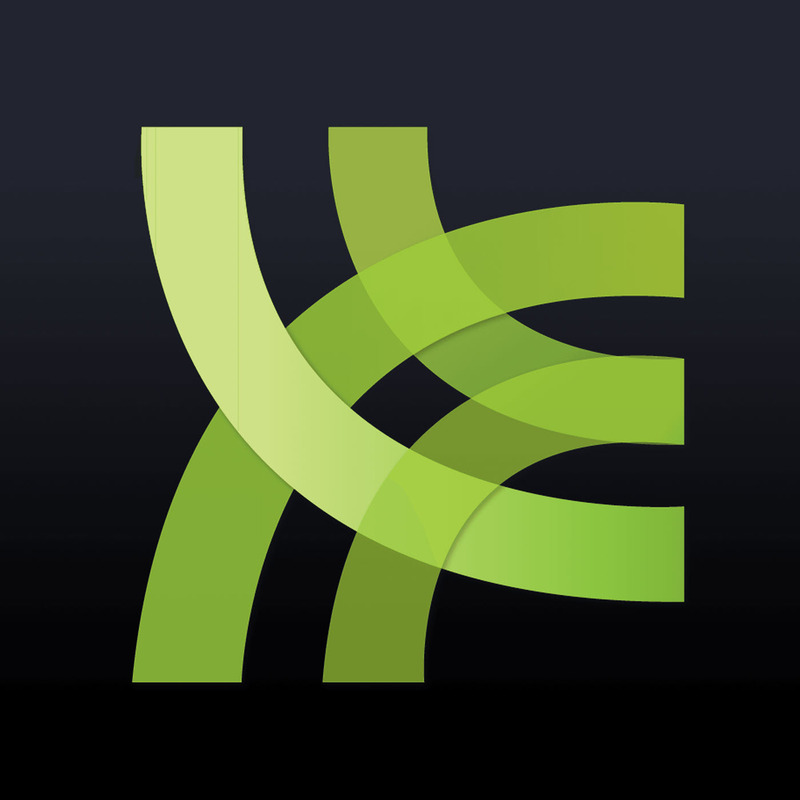 I will only consider spelled out words, and not words contained in a logo or crest that is diagonal. Anaheim Might Ducks need not apply. I only impose restrictions because this thing can consume my life looking at every team that has a slanted logo on their chest. I have some semblance of a life, so I need to limit myself. Now on to my favorite subject, history, and in this case, the history of diagonal lettering on the front of hockey sweaters. Many people think of the New York Rangers when diagonal type face on a hockey sweater is mentioned. But what team was the first to have diagonal lettering? I could not find any definitive answers, but I could offer an educated guess or two. The earliest jersey, or rendering in some cases, of a team with a diagonal type face on their jersey, that I could find, were the Victoria Aristocrats of the PCHL in 1915. But as you see in the pictures, this claim can be debated. Is the lettering really diagonal in the sense that we think of diagonal lettering today? 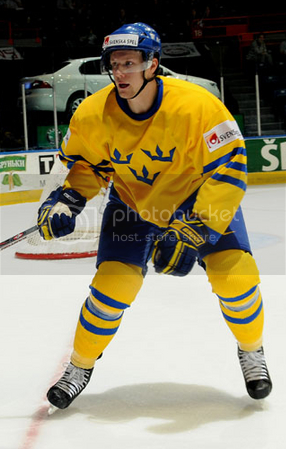 Since it was so early I think we can consider the sweaters kind of like a precursor to diagonal lettered jerseys. 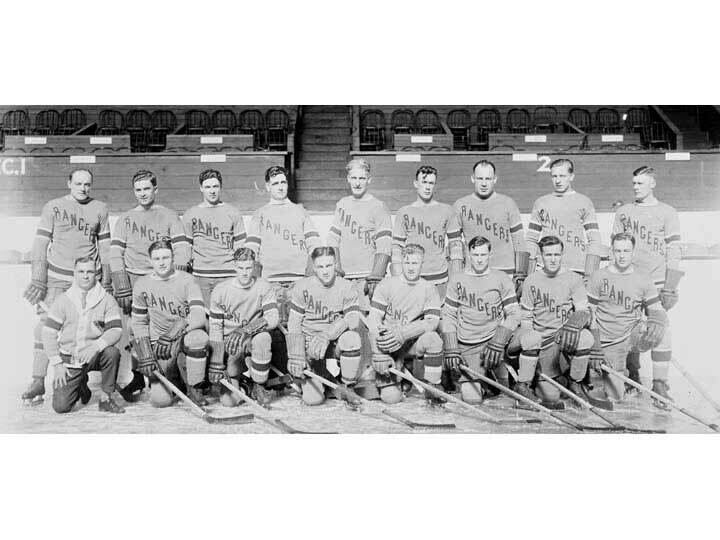 In 1921-22 there were two teams who had diagonal type on their jerseys, the Edmonton Eskimos (hard to make out, I know, but it was the only actual shot I could find where the front of the jersey could be made out some what) of the WCHL and the Seattle Metropolitans of the PCHL. It was tough to find pictures from the time period that pre-dates the NHL, but I was able to find what I needed from http://westernhockeylegends.my100megs.com. I suggest you check it out, not just for the sweaters, but for some cool history as well. Now the earliest picture I could find of the Rangers was from 1928, (yes that is Lester Patrick) but the jerseys did not change too drastically from 1926 to 1928. There was not much changed in the Rangers sweaters of mention in the lettering department, except for the occasional change of the color of the letters from white to red and vice versa a couple of times, until 1976-77 when the team changed to the New York Ranger crest on the front of their sweater. Then in 1978 the original diagonal type returned but the Rangers decided to wear “New York” on their blues, and kept “Rangers” on their home whites. The “New York” on the darks lasted until 1987 and returned to “Rangers” as we know it today. The next team, after the Rangers originally used diagonal lettering, in the NHL to go diagonal were the Philadelphia Quakers. 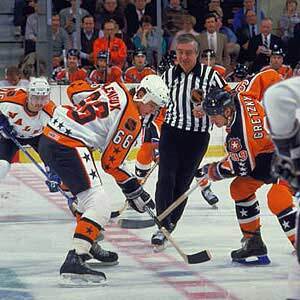 The team only played one season on the NHL due to a poor arena and poor showings on the ice, but many people forget that they were Philly’s first NHL team. The next development came in 1934 at the first All-Star game, which was a benefit game for the great Maple Leaf Ace Bailey, who almost died on the ice earlier in the season when he hit the ice and fractured his skull after a hot from Eddie Shore. The NHL All-Stars wore white jerseys with a star on their left shoulder and “NHL” diagonally on the chest. The Maple Leafs wore blue with “Ace” in white on their chests. What is peculiar is that unlike the Rangers, “ACE” and “NHL” were just slanted to become diagonal. The use of diagonal lettering in All-Star games comes up again in 1983, ‘84, ’85, ’86, and 2004. Back to specific teams, when the Pittsburgh Penguins broke into the league they wore these beauties, but only for that first season. They did bring back a version of that sweater in 1992 – 93 till 1996 – 97 in the familiar black and yellow. Not as good as the original in my opinion. The only other jersey that received somewhat regular use with diagonal lettering in the NHL was the Colorado Avalanche’s third jersey that they used from 2003 to 2007. One other instance of diagonal lettering used in an NHL game comes from the Buffalo Sabers when they played the Rangers on October 7, 2001 in New York City. 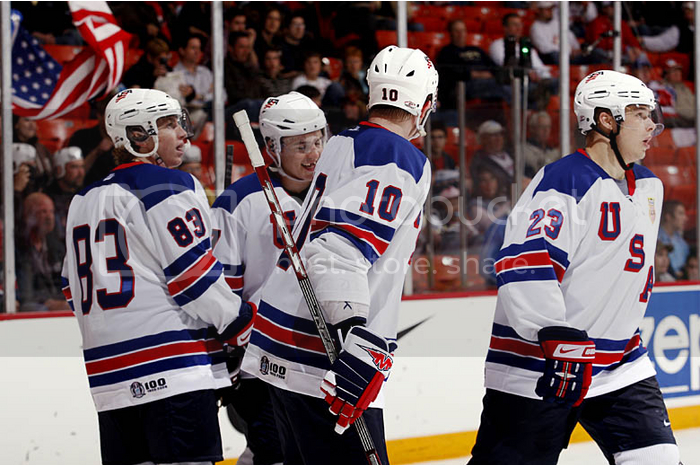 The Sabers wanted to show their solidarity with the state of New York after September 11th, so they wore “New York” on their front, just like the Rangers. 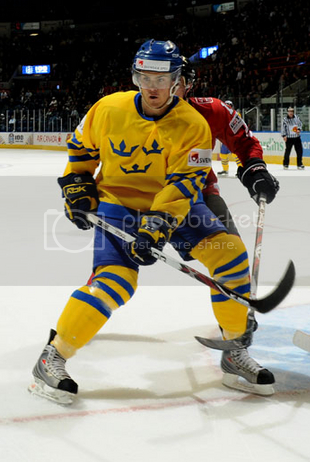 I could only find one actual photo of the jersey, which is not optimal, and the example on NHLUniforms.com. While these may not be all of the jerseys used with diagonal lettering in the NHL in the history of the league, I think it is a good summary of the major instances. I leave it to you guys to find any instances I may have missed. Keep an eye out for my look at college and minor league sweaters with diagonal lettering in the future.